Thursday, 7 November 2013: Two Hundred and Twenty Days Old. 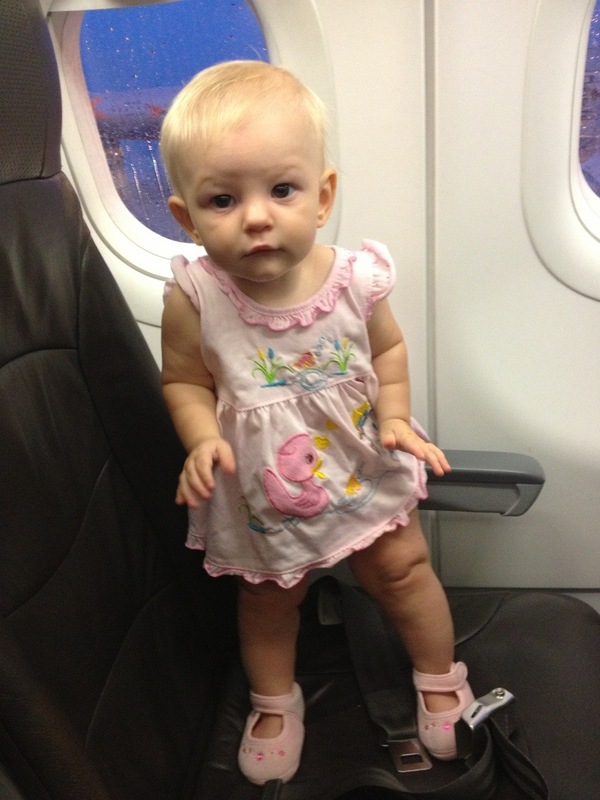 Ayla had her “awesome traveler” status upgraded today, and she deserved it! How on earth did I get so lucky? Ayla is such an easy kid and even after a measly 40 minute nap she was still easy to entertain during the rest of the four hour flight. I’d heard people say that babies become worse travellers the older they get, but Ayla didn’t cry, whinge or carry on once. There were even times when Ayla sat happily playing herself in the spare seat next to me, and she also made great friends with the lady across the aisle. I think the down time even gave Ayla a chance to perfect a couple of new skills, because by the end of the flight she was blowing raspberries like a champ and waving at anyone who looked at her. I feel like a bragger but she really was awesome! I’m so proud! 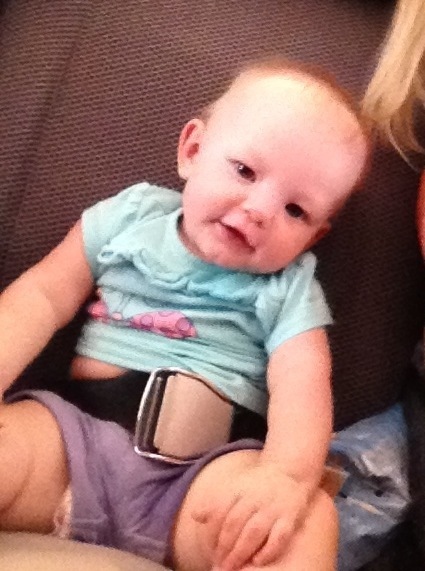 PS – I had Ayla in disposable nappies for the flight, which I changed every hour. It didn’t seem to impact the rash too much so I’m going to start slowly introducing/trialling nappies again.